Guess what? Althea turns 1 today! Yes! It’s today. 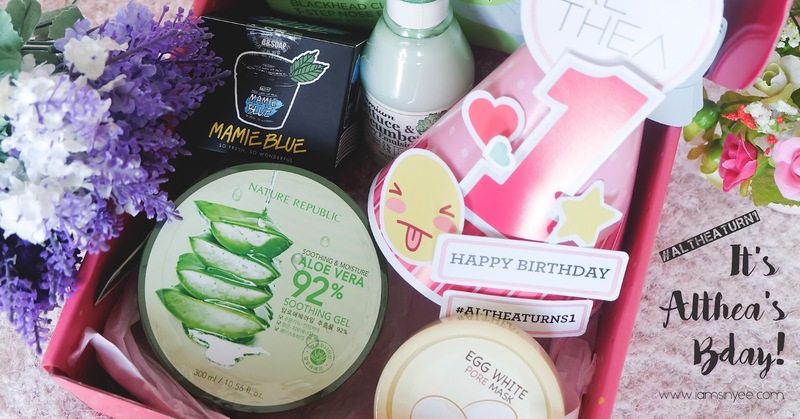 Time flies~ Remember I have bought my first K-beauty haul at Althea when it first launched in Malaysia and I shared my shopping haul on blog as well. Yet, Althea is now one years old! If you still don’t know Althea, here is a brief explanation. Althea is a K-beauty online store, where you can purchase K-beauty products with LOWEST price. All products are 100% authentic and they are directly shipped from Korea to your doorstep. To celebrate Althea’s first birthday, Althea is spreading love to everyone. Let’s check out the amazing deals, goodies and contest. 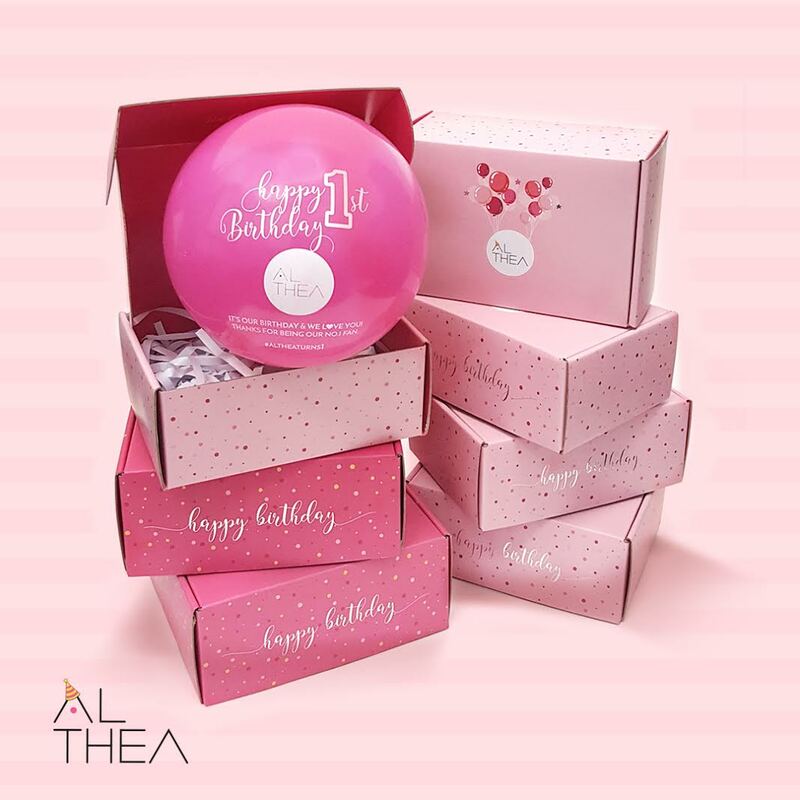 For orders placed on 20/7 onwards, grab the limited birthday box and DIY party kit while shopping on Althea. **Grab it while stock lasts. 2. Free Goodies for first 1500 shoppers! Pick 3 top sellers product. Rebate will be credited into your account. Use the credit on next purchase! Got your Althea party kit? Wish Althea a happy birthday with #altheaturns1. Stand a chance to win amazing prizes worth KRW10,000,000 in total, such as Macbook Air, Ipad Air 2, iPhone 6S, Galaxy S6 Edge, Canon EOS M10 Selfie camera, Althea credits and beauty hampers from Althea! Like and share Althea’s Birthday poster. 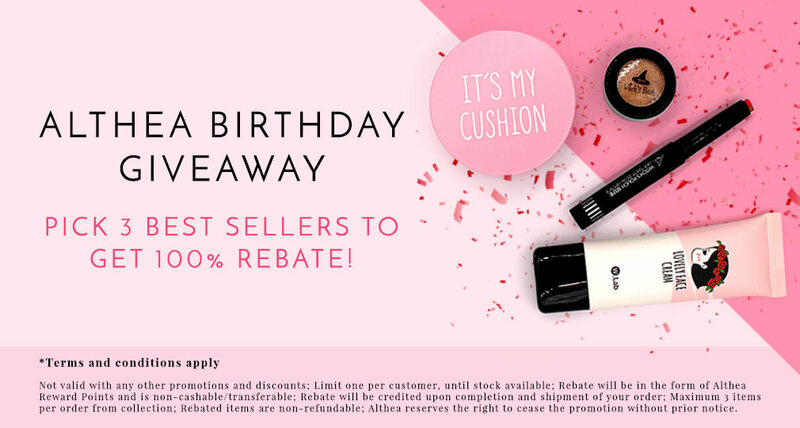 100 winners will be selected to win RM20 Althea credits. **Terms and conditions apply. 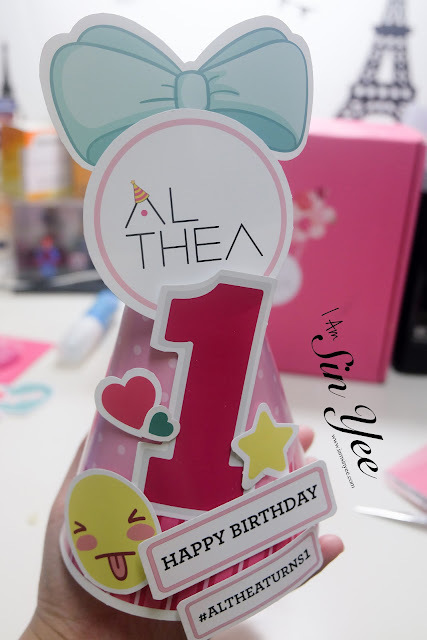 Please refer to www.althea.kr and Althea Facebook for more information. 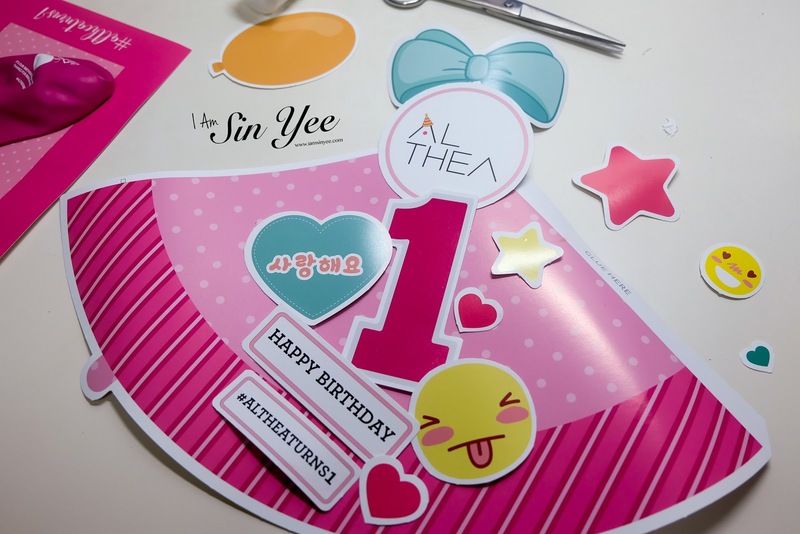 Not forget to share my Althea’s birthday haul and my DIY Party kit. Purchased all these in RM150. Awesome, isn’t it? 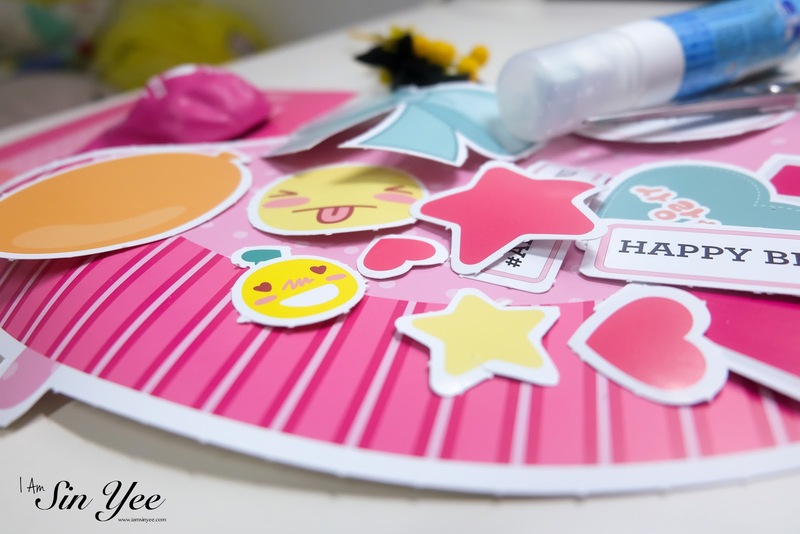 DIY my party hat with the given material. 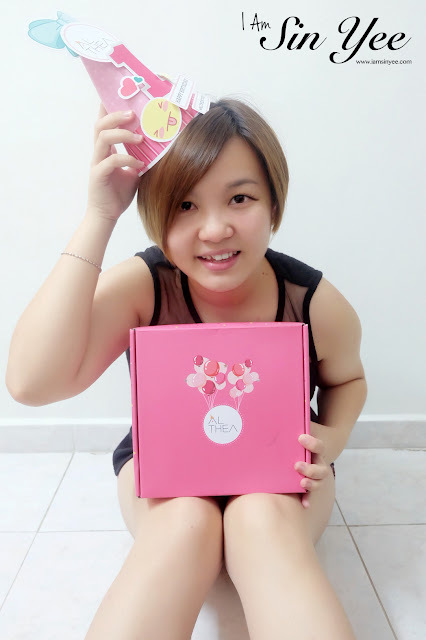 And finally, a selfie with DIY party hat and the limited edition birthday box. Now, shop with Althea! I am sure you will definitely regret if you miss Althea Turns 1 celebration! Next articleEzbuy Prime: Ship Everything from Oversea at RM8.80 Nett!